A creative outtake on celebrating America's day of Independence with family and friends in the comfort of your backyard. Replace your current accent pillows on your outdoor love seats and sofas with a fun red, white, and blue color combo. Even without changing your larger cushions, you can add just a navy, or red accent cushion to coordinate with theme and still correlate with your already established color scheme. Add white lanterns to your conversation set end tables. The white can be reused for any occasion and can simply match theme by adding a colorful candle, or flowers inside. White again! Drape your outdoor dining table with a white tablecloth, so that you can have a table decoration you can use again, but it will also allow you to highlight the fun colors of this occasion. Find gold chargers/place mats for your outdoor dining table. Gold is a neutral metallic that will serve for multipurpose hosting events, while it accents our favorite part of fourth of July: fireworks and sparklers! Use a burlap table runner to add a fun, rustic, look to your party. Burlap is another great neutral, as well as an affordable fabric that allows other decorations, that may be placed with it, to pop. Find your favorite red, white, and (or) blue flowers to line down the center of your burlap table runner. Hydrangeas are a great July flower and are also inexpensive while creating a full look to any vase or container; they also come in blue and white, but can easily be dyed red by adding red food coloring to a water-filled vase 48 hours prior. Buy striped straws to add to your guests' glasses for an inexpensive touch of theme. If you have kids joining your party, research a fun DIY Fourth of July project and set up a separate table for them to mingle and enjoy the holiday. A berry salad would make a perfect appetizer and grasp the red, white and blue color scheme. Teak patio furniture is rightly known for its beauty and durability. Teak is a tropical hardwood native to south Asia monsoon forest regions. Old forest trees, which grow naturally to more than 100 feet, are generally harder and more durable than young teak trees grown on plantations. As such, old growth teak was considered more desirable for teak tables and other hardwood garden furniture. However, old growth teak, like mahogany, is becoming more rare, and more expensive. The worldwide demand for teak garden furniture and teak indoor furniture remains high, and teak is now grown commercially in several countries on carefully controlled forestry plantations. Plantation grown trees are kiln dried and now considered by teak furniture manufacturers to be comparable in performance and longevity to old growth teak. Your teak table and patio chairs will maintain their beauty through the sun and rain of many summers and the frost of many winters without special care because the tight grained wood contains an abundance of natural oils which makes it nearly impervious to both weather and wood-boring insects. Oiled or varnished teak takes on a deep brown luster with visible grain pattern. Untreated teak takes on a smooth, grey patina. You can choose your teak furniture style to match your overall home decoration style. Teak can be cleaned successfully with mild detergent or even soap and water. If it appears, however, that the grain in the untreated teak is opening then it must be treated to prevent water damage. Despite its hardness teak is a very workable wood and is commonly manufactured into exterior doors and window sash for many Asian homes. Shipwrights have used teak for decks and planking for centuries. Western consumers appreciate teak more as patio furniture and pool furniture although teak veneer is becoming more common for dining room, bedroom and other home furnishings. 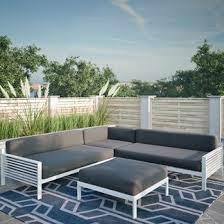 Outdoor lawn furniture, dining patio sets, chaise lounges, patio chairs, benches, bistro sets and a variety of accessories can be used to design a comfortable, and attractive, outdoor grouping for everyday use or for elegant entertaining. Since teak furniture is available in a variety of styles - and is weather resistant - it's ideal for any type of climate, from the heat of the southwest to the wide-ranging New England seasons. Because of its unique natural properties, workability, and beauty, teak can be integrated into a wide variety of decor furnishings, and is a popular lawn furniture choice for English Garden settings. Found in the finest private homes, hotels, lodges, resorts and luxury yachts, teak is synonymous with style and elegance and is one of the best furniture investments that a homeowner can make.